I like it. Totally bokahlicious! I think you're very brave in those gales! I was attempting something similar but with other people's windows but got a bit freaked out circling the neighbourhood in the car (too scared to walk...)! You are braver than I going out in to the wind! 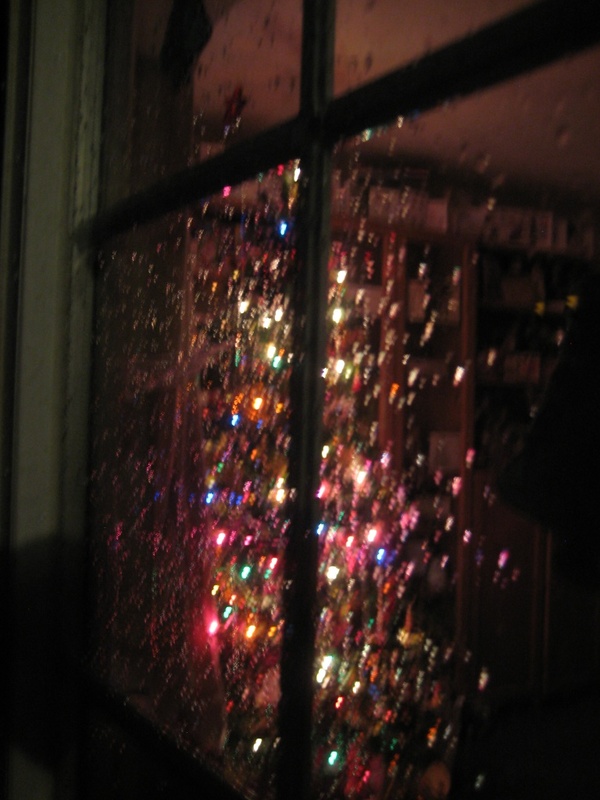 I do love the effect that the rain gave the lights through the window. Very pretty. Good for you. Great shot and POV.